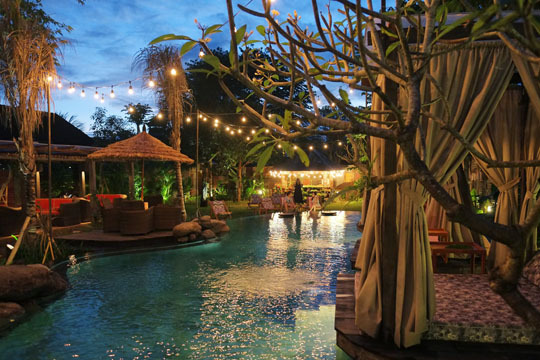 Drawing inspiration from the vibrant lifestyle of Ubud, Folk Pool & Gardens is an oasis of fun filled revelry located in the heart of Bali’s cultural hinterland. Set in a lush garden, Folk can be found on Jalan Monkey Forest and is open from 10am until 10pm daily. 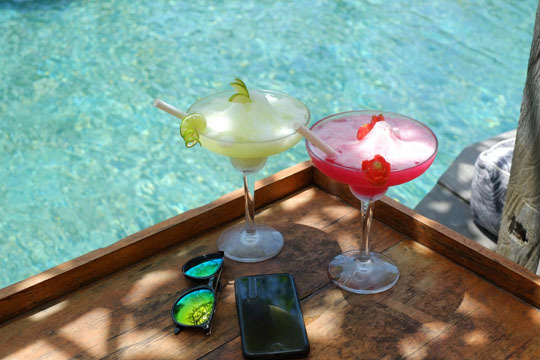 Offering a fabulous range of food and drinks, it also features a sweeping swimming pool with a swim-up bar and a choice of private daybeds, teepees and decks for lounging, in addition to a twilight poolside cinema. With its quirky design, relaxed open spaces, pool and all day dining, Folk is an easy place to hang out. 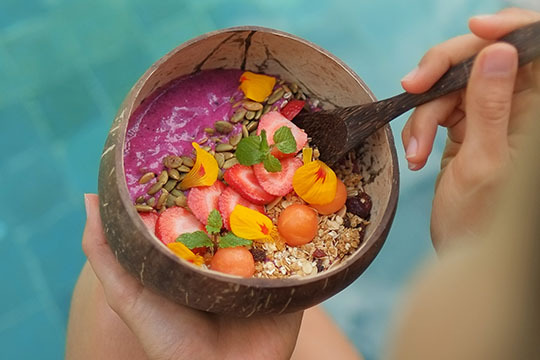 The menus range from vegetarian to grilled specialities, with healthy options like the smoothie bowl selection or scrumptious pumpkin quinoa, Vietnamese chicken and asparagus and feta salads. For a heartier meal, choose tuna teriyaki skewers or chicken yakitori from the grill, or one of a range of pizzas and sandwiches. With deserts and a long list of sharing dishes, like the Balinese mezze platter, Folk offers something for every taste and mood. The drinks menu and wine list are equally as impressive and feature craft drinks to classic and creative cocktails, as well as juices and some delicious virgin cocktails.